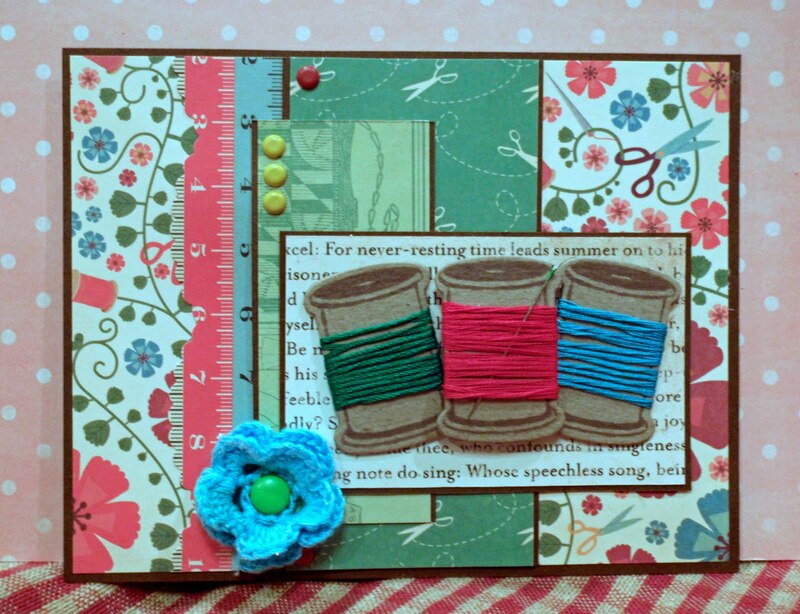 This card was my entry into this weeks MFT Stamps Wednesday Stamp Challenge. The papers are from Cosmo Cricket - Material Girl. Then of course there's the brads and the flower from my stash. But what I really wanted to show you were the spools. Yes - they are cut from a die. OH MY ! MFT Stamps has a set of dies for us sewing gals. LOVE THEM! I cut them, stamped them and then wrapped each with some floss. Then I cut another set of spools and put them on the back of each wrapped spool. It provided a bit more dimension and gave the embellishments a flat back for good adhesion. I popped up the middle spool using a few foam dots. 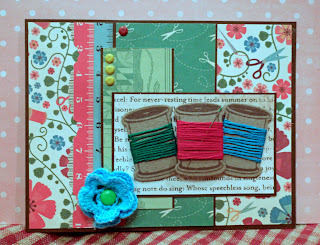 So check out MFT Stamps when you get a chance - they are always coming up with new dies and stamps. And I will be back tomorrow with another sewing type project for you.